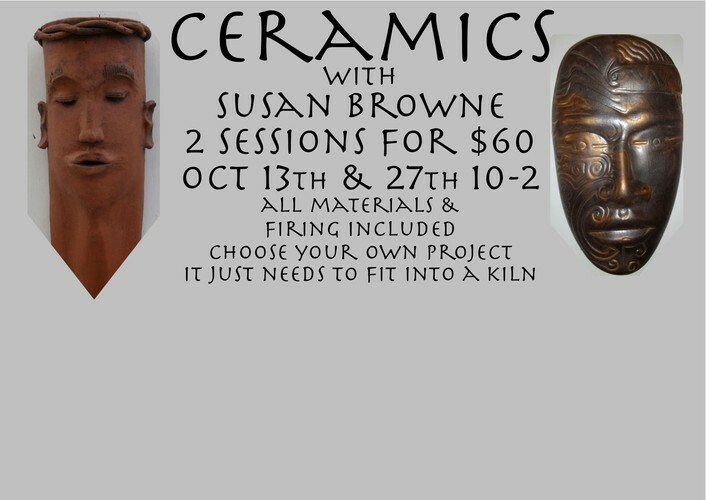 Ceramics Workshop with Susan Browne 2 sessions for $60 10am-2pm Oct 13th & 27th, all materials & firing included. Choose your own project, it just has to be able to fit into a kiln. Sat 13th October 10.00-2.00 creating & Sat 27th October 10.00-2.00 glazing.